Aliens is a sequel that is even better than the original. It still features the talented Sigourney Weaver as the alien-slaying heroine named Ripley. Ripley returns to the planet where her crew has perished, and this time she is escorting some highly-trained troops as an advisor. As soon as they arrive things start going from bad to worse. The fierce, battle-hardened soldiers begin to crack and run to save their own lives. It's up to Ripley to save everyone from death. In this sequel, James Cameron has taken the director’s chair. He adds his own creative flair while staying true to the original film's focus by Ridley Scott. 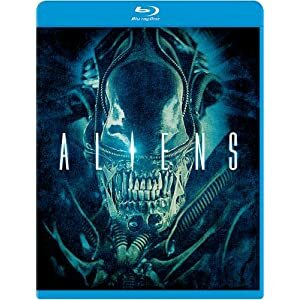 If you want a suspenseful, high-impact film full of action, Aliens is definitely for you!